Indeed there are two different ways of contemplating Jesus and his mysteries using our Rosary. One is very known but the other is much less known and understood. The reason we have two ways of saying the Rosary is because we have two types of contemplation. Contemplation is a supernatural action of God where he gives himself to us as a nourishment. Each type of contemplation nourishes principally (Lat. “principaliter”) a different area of our being. One nourishes essentially our soul (i.e. conscious mind and will) and the other nourishes essentially our spirit (or heart, i.e. supra-conscious part of our mind and will). These two types of food absoutely complement each other. 1- the first bread is Jesus’ words for us that are “Spirit and Life”, they nourish our soul (conscious mind and will). 2- the second bread Jesus offers us is his Body and Blood (and soul, spirit, divinity). These two moments of manducation (process of eating) have, related to each one of them, two moments of digestion: Lectio Divina for the first bread and Prayer of the heart for the second one. I guess, if you are familiar with the “School of Mary” teaching you would be familiar as well with these clarifications about Spiritual Life, Mass, Contemplation. Now, back to the question about the Rosary. The Rosary initially was set up in order to help the poor who can’t read in the MiddleAge to have the possibility to access the Gospel. The Gospel was therefore divided into three sets of mysteries, each one with 5 moments of Jesus life. So, with Mary, the faithuful would be able to remain in contact with the Gospel, Jesus, his mysteries and benefit from them. So the rosary is not a “marian devotion”, it is a Gospel, Jesus, contemplation, listening to. We need to remember that. Of course Mary is fundamental, because she gives us her eyes and her heart in ordet to contemplate Jesus and listen in our conscience to his word for us. Note: the majority of people today do read and hear about the lectio divina. So what? Would we then have to cancel the Rosary? I think that we need to learn to practice the lectio divina “with Mary”, this is fundamental. This means that we need Mary’s heart, mind, will, in order to listen to Jesus and put his word into practise. Is that all about the Rosary? What about the second type of contemplation, of food? Would we just leave it without Mary? I do deeply believe that there is a more silent/quiet way of saying the Rosary, closer in its form to the Prayer of the heart. In the Prayer of the heart you have a short prayer that accompanies our movement of lifting our heart. You remember that? I do deeply believe that we could use as a prayer the “Hail Mary”, holding our Rosary in our hands. Therefore, in this case we do not “meditate” (or better: contemplate) one of Jesus’ Mysteries, we are in Jesus, in THE mystery himself, and we do not need to see or hear anything, because God, in this type of contemplation pours himself in our heart, directly, and our mind should remain quiet, in peace. Note: the Eastern catholic (and orthodox) churches have a different Rosary (chotki), and they use it for the Prayer of the heart (Jesus’ prayer). We can’t go to the Prayer of the heart without Mary. We need to repeat a prayer that has Jesus’ name and/or Mary’s one, so, why can’t we just hold our (western) rosary in our hands and just say it quietly, silently, having Mary in our heart, with us, that receives Jesus, and his Holy Spirit?! So, conclusion: we do indeed have two ways of saying the Rosary, and they are coherent with the two “Breads” we receive in the Mass, and with the extension/prolongation of this manducation in digestion: Lectio divina and Prayer of the heart. The two ways are not oppposed, or exclusive, they absolutely complement each other. They are both necessary: we need Mary in order to listen to Jesus (contemplate his mysteries in the Gospel) and we need Mary as well in order to be immeresed in Jesus’ being and receive his Holy Spirit. I hope that helps, sheds an important light and liberates many people who would like to say – as well – the Rosary with a type of “contemplation” identical to the type of contemplation involved in the Payer of the heart and in Communion. To say that there are two ways of saying the Rosary might be challenging. It is so, simply because we know only one way (divided in two, one more discursive meditative and one more contemplative (see below *)) of saying the Rosary. Many other ways spread after, based on just repeating this or that prayer or devotion, composing therefore a “new way” of saying it. But basically it is the same, and it might divert our attention from the original genuine inspiration on how to do it. Indeed, we only know one way to say the Rosary: by “meditating” (or contemplating) the Mysteries (3 x 5 mysteries, and recently made 4 x 5 by Pope John Paul II who very cleverly tried to bring us back to its initial meaning. i.e. his Encyclical on the Rosary). The more we deepen the two types of nourishment we have in our Christian life (“Jesus’ Words” and “His Body and Blood”) the more we will understand these two types of food/Tables of the Mass. The more we will understand the reasons why we needed two types and not only one. We have two areas in us: the Soul (conscious mind and will,…) and the Spirit (heart, supra-conscious part). Both need to be nourished, and efficiently. 1- Daily Lectio divina based on the readings of the Mass (in order not to disconnect lectio from the Mass). During the Mass, we are supposed to receive a Word from Jesus… through the Readings. Jesus is amongst us and speaks to us, not the Priest, or the reader, during the Proclamation of the Word. 2- The Prayer of the heart, or “mental prayer”, or Jesus’ prayer. Which is the extension of Communion. The more one practices these two types of prayer, the more he’ll enter more and better “in the Mass”. The more he’ll be able to discern the two different types of Contemplation (“Contemplation” today is hardly heard of). 1- The first type is an understanding of a word coming from Jesus (showing us His will, today) and putting it into practise (so it becomes incarnate in us, it becomes part of us, a new “knowing”). This contemplation is clear to our mind and understandable to our brain. When Jesus speaks to you and explains His will to you, He is clear. Otherwise your lectio is not done properly (we tend to mix lectio and more of a silent prayer today, which is a real shame; each is a proper manducation). Now: we can, we may, we should do both “eating moments” with Mary. When we repeat “Hail Mary… Pray for us” we are asking Her (see video lesson 2 a and 2 b Course 2011) to lift us, put us in her and give us her heart and her mind in order to contemplate Jesus and receive Him and his Spirit. So repeating the “Hail Mary” is like having a buoy that maintains us in Mary, at her level, placed in front of Jesus and at His level. Now, back to our question: the ways of saying the Rosary. One way follows the Manducation of the first Table of the Mass: meditating the Mysteries of Jesus’ life. The other follows the Manducation of the second Table of the Mass: sinking in Him, being immersed in Him, going back to our last Communion (stored in us) and allowing it to continue its effects in us. I hope that helps. Even if it looks “new”, it is not new at all. If you are in Adoration in front of the Blessed Sacrament, and you hold your Rosary in your hands, would it be wrong? Obviously not. If you Adore Jesus with the Heart of Our Lady, would that be wrong? Would you need to meditate any Mystery of his life, or would you just throw yourself in His Arms, since He is lovingly exposed to you, opening the Furnace of His love (His Heart) to you? You don’t need at that point any Mystery to meditate (with your mind), you chose the direct way of the heart: He is Here, He is the Mystery of the Mysteries, and you throw all yourself in Him. Wouldn’t you do that with Mary and in her? – Yes. This is what I mean by “the second contemplative way of saying the Rosary”. You do not meditate (this would be more of a lectio divina) any of his Mysteries, He is Here in front of you and He is The Mystery of Mysteries. This is what I do during Mental prayer: I take my Rosary, and, silently, I say it, but I do not meditate, this would be coming out of the Immersion in THE Mystery: Jesus. And there is a time for Prayer of the Heart (mental prayer). And there is a time for a more silent way of saying the Rosary: in silence, just holding our Rosary, and being immersed in Jesus. I hope it is clearer now. We need to deepen the practise of daily Lectio divina, it boosts everything. And we should never forget daily “mental prayer” (Prayer of the heart). Other devotions should proceed from them and not the opposite. Mary is absolutely present in Lectio divina and in the Prayer of the heart, otherwise contemplation cannot work. Meeting Jesus happens always in Her Heart, never outside, this is the Logic of Incarnation. Is it really contemplative or not? you certainly would have noticed what I mentioned in the beginning of this post. I said: “we know only one way (divided in two, one more discursive meditative and one more contemplative) of saying the Rosary”. 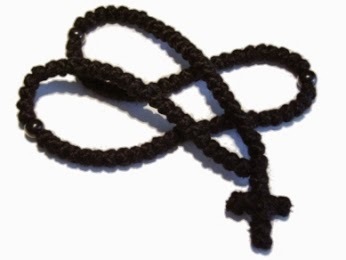 What I meant by “divided in two” is that even the way we know to say the Rosary drifts toward a non-contemplative way, more discursive if not simply blindly ascetical/moralistic. When we say the Rosary, we often focus more on the repetition of the “Hail Mary” and forget that the Rosary is meant to be said: in Mary, with her heart and mind, but focused on Jesus and on one of His Mysteries. The reason we say the “Hail Mary”s is because we need to receive the gift of her mind and heart in order to be placed in her in front of Jesus. The Mystery we have in front of us will ooze, and something from it will be given to us. This is contemplation. Plus, we tend to use too much our mind, in a more of a discursive meditative way, instead of a “contemplative way”. So what we “contemplate” becomes more the fruit of our mind instead of being the supernatural gift of Our Lord. He or she can do at least two ways of praying: one supernatural (contemplation), and one just with the normal activity of the brain (meditation) under the general light of faith. The difference is simply huge. No comparison. It is the difference between the “General help of the Grace of God” and the “Particular help of the Grace of God”. Theresa of Avila says that if we do not understand the difference we can’t really dive in Spiritual Life, and that we are missing the point (See Life 14,6). 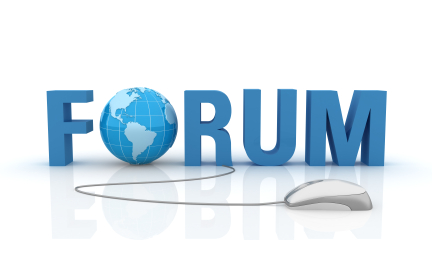 Please see the link to the Forum here. 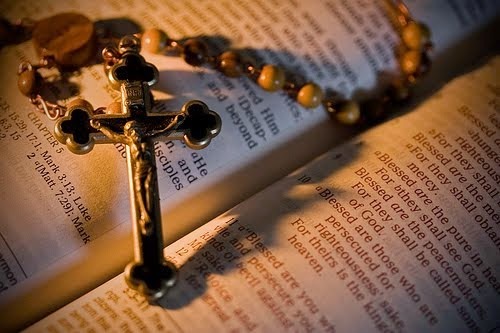 There is a difference between reading and meditating a passage from the Scripture (like a mystery of the Rosary, i.e. contemplating) and doing so just by reading, meditating, thinking, reflecting, deducing, with the normal light of Faith that is given to us. Now, listening to God, to Jesus, saying to us a Word that is supposed to change and modify our days, is something very different from just “meditating”. The same applies to the Rosary.